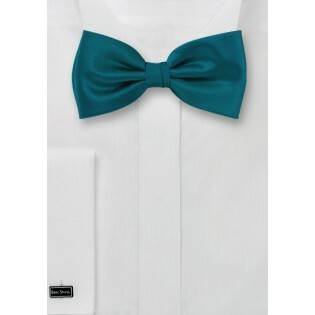 For a fabulously fashionable menswear ensemble, simply accessorize your basics with this uber simple and impressively stylish Peacock Blue Hued Bow Tie from the Cantucci Design House. This complex shade of Peacock radiates with distinction, prestige and unquestionable style. 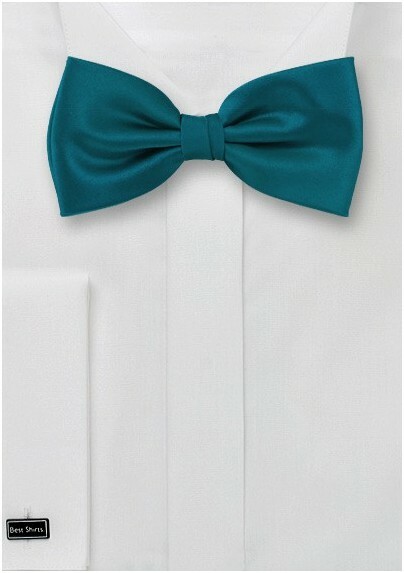 We love to see this luxe bow tie teamed up with a dark textured gray suit or sportscoat. Made from a premium grade man made microfiber.